Stephen Humphreys was at IILJ from 2005-2006 as a Visiting Doctoral Researcher. He is an Associate Professor of International Law at LSE Law. He was formerly the Research Director at the International Council on Human Rights Policy in Geneva, and, before that, Senior Officer at the Open Society Institute’s Justice Initiative in New York and Budapest. He has conducted policy work on climate change and in human rights in a variety of fora. His research interests include international legal and critical theory; rule of law; law and development; climate change; the laws of war; and transnational legal processes. He holds a PhD from Cambridge and a Master’s degree in law from SOAS. 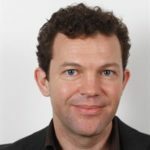 His publications include Theatre of the Rule of Law (Cambridge University Press, 2010) and the edited volume, Human Rights and Climate Change (Cambridge University Press, 2009).